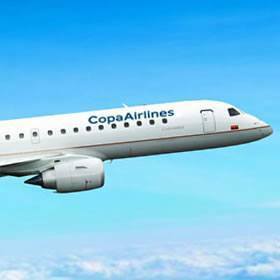 Copa Holdings announced its financial results for the third quarter of 2018 which shows the company had a net income of US$57.7 million, from an operating income ofUS$74.3 million, representing a 38.4% decrease over operating income of US$120.7 million during the third-quarter of 2017. The revenues were hit by increased fuel charges, the weakness of the Brazilian and Argentinian currencies as well as increased competition and lower fares. Yield per passenger mile decreased 3.3% to 11.6 cents and RASM came in at 10.1 cents, or 4.2% below last years numbers. Operating cost per available seat mile (CASM) increased 4.3% from 8.6 cents in the same period of 2017 to 9.0 cents in third-quarter, driven by a 31.6% increase in the effective price of jet fuel. CASM excluding fuel costs decreased 5.5% from 6.3 cents in last year to 6.0 cents in this period, mainly as a result of timing of expenses, fewer operational disruptions and cost reduction efforts. Copa ended the quarter with a consolidated fleet of 102 aircraft – 1 Boeing 737 MAX9, 68 Boeing 737-800s, 14 Boeing 737-700s, and 19 Embraer-190s (pictured). (1)Adjusted Net Income and Adjusted EPS for 3Q17 exclude non-cash charges/gains associated with the mark-to-market of fuel hedges. * Restated for retrospective adoption of IFRS 15.